Talk about a vegetable with an undeserved bad rap. In Canada they changed its name to canola. 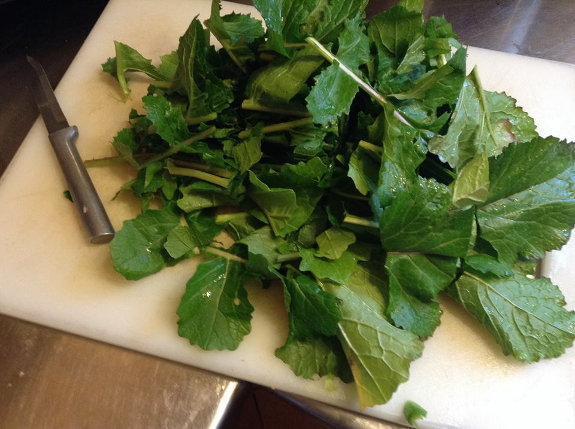 If you want a recipe you need to look up broccoli raab or rapini. 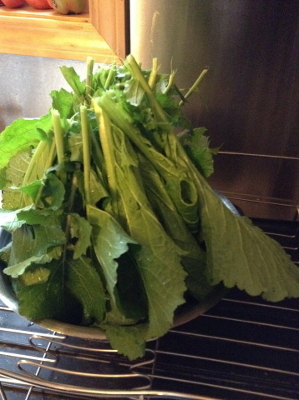 It's one of my standard, easy-to-grow winter vegetables. 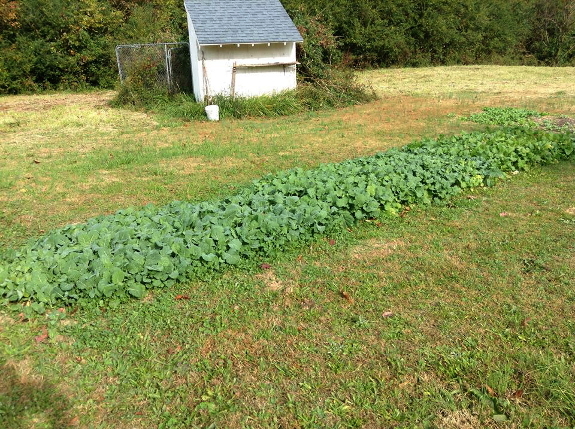 A ten-by-ten foot patch provides a never ending supply of fresh and healthy greens. Yesterday in the dentist's waiting room, a cooking show was on TV with the sound muted. I watched the cook put greens on a cookie sheet and into the oven. 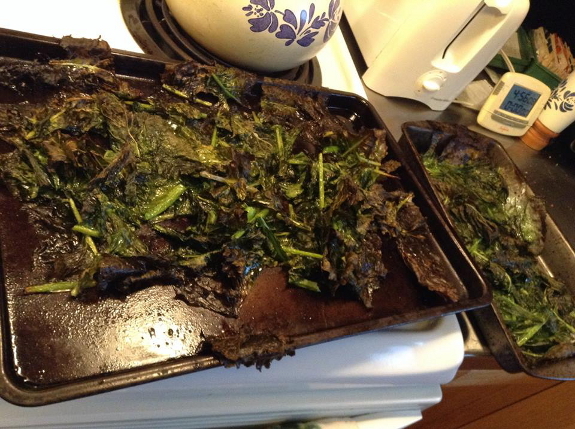 After the commercial when it came out the words "oven roasted rapini" flashed on the screen. I was planning on sauteeing mixed greens for a supper side dish, but decided to try this instead. 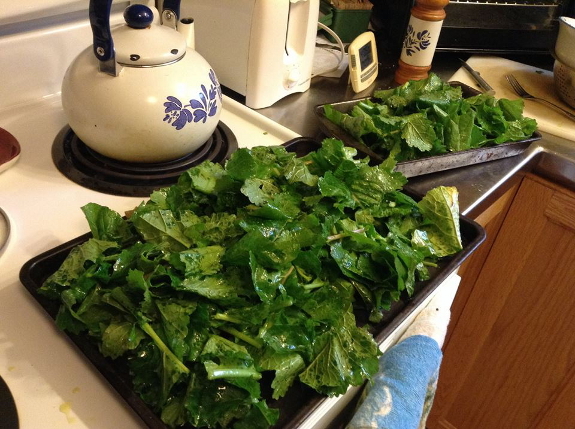 First I soaked the picked greens in cold water and drained them. Then I cut them in two-or-three-inch-long sections. A coating of olive oil with salt preceded putting them on baking sheets and placing in a 350 degree oven. A stir or two, then, fifteen minutes later--ready to eat along with crock-pot navy beans cooked with chopped onions and green pepper.